EXECUTIVE SUMMARY: Despite the Assad’s regime’s longstanding pretense to raise the banner of all-out war against Israel, since the October 1973 War the Syrian-Israeli border on the Golan Heights has been conspicuously quiet. Today, as Syria no longer capably functions as a sovereign state, a strong Syrian president with firm control over the state is a vital interest for Israel. At the start of Trump’s term, many believed he would not contend with Assad, and that his agenda did not include removing the Syrian dictator from power as long as the latter fought ISIS. If that was, in fact, Trump’s agenda, he appears to have changed his mind following the chemical attack, and the new calculus has prompted new questions. Who will be the next ruler of Syria? Will a new dictator rise, or will it be a democratically elected president who will find it difficult to function in the stormy Middle East? 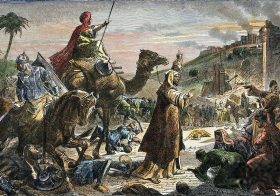 How will the next ruler relate to Israel? What will be the fate of the Golan Heights? 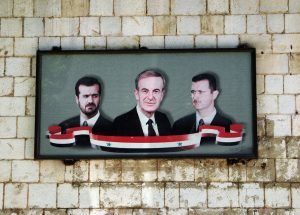 In Syrian and Lebanese circles, an old adage – “A lion [Assad in Arabic] in Lebanon, but a rabbit in the Golan” – has been applied to the Assad dynasty for years. The Assads have carried the banner of all-out war with Israel since the 1970s, but that war has never materialized. Since the Yom Kippur War in 1973, neither Hafez Assad nor his son Bashar initiated a single military activity against Israel from Syrian territory. Instead, they made do with mobilizing other militias from Lebanon against Israel. Against the backdrop of media reports about bombings in Damascus by the Israeli Air Force and growing tension between Jerusalem and Damascus, one might well ask how the Golan managed to remain quiet for over forty years until the March 2011 violent eruption. The answer is that during that period, the Syrian regime simply had no interest in starting a war with Israel. Not only did it elect not to launch an armed struggle to liberate the land, but it took care to avoid any confrontation on the Golan front, likely fearing another humiliating defeat. The Syrian authorities went so far as to punish any Syrian soldier who provoked Israeli soldiers on the Golan Heights, even as they continued to attack Israel indirectly. Syria supported the Palestinian Hamas and Islamic Jihad terror groups, for example, and aided Hezbollah in terrorizing IDF soldiers during the IDF’s stay in southern Lebanon. In the mid-1980s, when Hezbollah first emerged, it received, together with the Shiite Amal movement, money and weapons from Tehran via Damascus. Syria was not averse to the principle of attacking Israel, but took care to avoid a direct confrontation with Jerusalem. Rather than take matters to the battlefield, Syria tried instead to obtain the Golan Heights by diplomatic means. It took part in the Madrid talks in 1991, and even negotiated directly with Israel (a few months before Hafez Assad’s death in 2000, Ehud Barak met with Syrian foreign minister Farouk Shara in the US), though these talks came to naught. Apart from diplomacy, the Syrians have voiced demands for the “occupied” Golan Heights, as they describe them, in the press and in demagogic speeches. As a result of this doctrine of avoiding military confrontation, Israel enjoyed close to four decades of peace and quiet on the Golan, enabling it to develop the area, cultivate the land, and build kibbutzim and tourist sites. 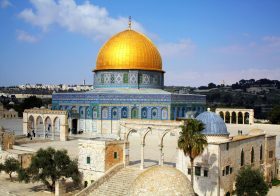 The unofficial understandings between Jerusalem and Damascus have dissipated in recent years with the collapse of modern Syria, but they were not the only understandings between the two countries. In 1976, with the entry of the Syrian army into Lebanon and fear of a confrontation between Syria and Israel, the so-called “red lines” were established. Damascus was forbidden to deploy its soldiers south of the Litani River, to introduce anti-aircraft missiles into Lebanon that would threaten the Israeli Air Force, and to harm the Lebanese Christians who were allied with Israel at the time. 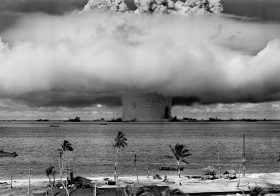 The broker of these understandings was US Secretary of State Henry Kissinger. These “red lines” endured except for two violations: 1) when the Syrians brought Surface-to-Air (SAM) missiles into the Bekaa Valley in 1981 and when the US supported the coalition against Iraq in October 1991; and 2) when the Syrian Air Force stopped the rebellion by Michel Aoun against Syria. 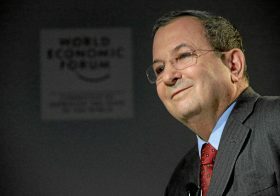 (Aoun has since changed sides and is now the pro-Iranian and pro-Syrian president of Lebanon.) The first incident caused a direct confrontation between Syria and Israel in which the Israeli Air Force downed dozens of Syrian planes over Lebanon. 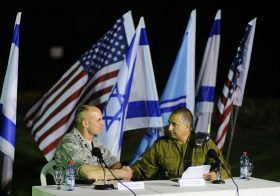 This strengthened the Syrians’ perception that a confrontation with Israel was not worthwhile. In Lebanon, Israel needs a strong president – not someone weak like Amin Gemayel, who buckled under domestic, and external Syrian and Iranian, pressure to cancel a peace agreement with Israel. The agreement, about which most Israelis know little, was concluded 34 years ago. In 1982, following the Lebanon War, the Israeli government negotiated with President Gemayel via US mediation. After a year of intensive negotiations, representatives of the three sides met on May 17, 1983 in a festive atmosphere in southern Lebanon and later in Kiryat Shmona to sign a peace agreement. 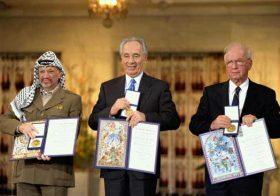 That agreement was to bring about security and an ostensible normalization of relations between Lebanon and Israel and culminate in Israel’s withdrawal from Lebanon within three months. It was ratified by the Israeli Knesset and the Lebanese Parliament – but President Gemayel bent to pressure and refused to sign. It is clearly not in Israel’s interest to have a president in one of its neighboring countries who cannot rule his own country. As noted, no mortar shells were fired on the Golan from the 1973 war until recently. The Syrians made sure to maintain quiet in the area, as firing on Israeli villages was always considered by Israel a valid cause to launch a military campaign. This was the case in recent years with the Palestinians in Operation Cast Lead and Operation Protective Edge, and was the case in Lebanon. Indeed, in 1982, the firing from Lebanon on Israeli towns and villages and the infiltration by terrorists into northern Israel led the Israeli government to invade Lebanon, reaching Beirut. Israel is surrounded by enemies. It needs those enemies to be led by strong, stable rulers who will control their armies and prevent both the firing on, and infiltrations into, Israeli territory. Both the senior and junior Assads succeeded in this and continue to do so to this day, despite the many reports in recent years about Israeli attacks in the heart of Syria. Syria is now a crumbling country. It is foundering in a mire of extremist militias (ISIS, Jabhat al-Nusra, Jaysh al-Islam, Palestinian organizations like Ahmad Jibril’s Popular Front for the Liberation of Palestine – General Command, Quwat al-Jalil, and the forces of Padi Malih, as well as the moderate rebels). It is divided into several regions, each controlled by a different organization. As Syria collapsed, so too did its understandings with Israel, with mortar shells once again dropping on Israeli territory. Syria is no longer able to function as a sovereign state, and this is bad for Israel. With all the regret over the loss of and disrespect for human life, and the aversion to the massacre Bashar Assad is carrying out on his people, a strong Syrian president with firm control over the state is a vital interest for Israel. Given the Islamist alternatives to his rule, Syria’s neighbors, including Israel, may well come to miss him as Syria is rapidly Lebanonized. The country will be divided into several entities, each controlled by a separate group/sect. This will hardly be beneficial for Israel or for the Middle East as a whole.